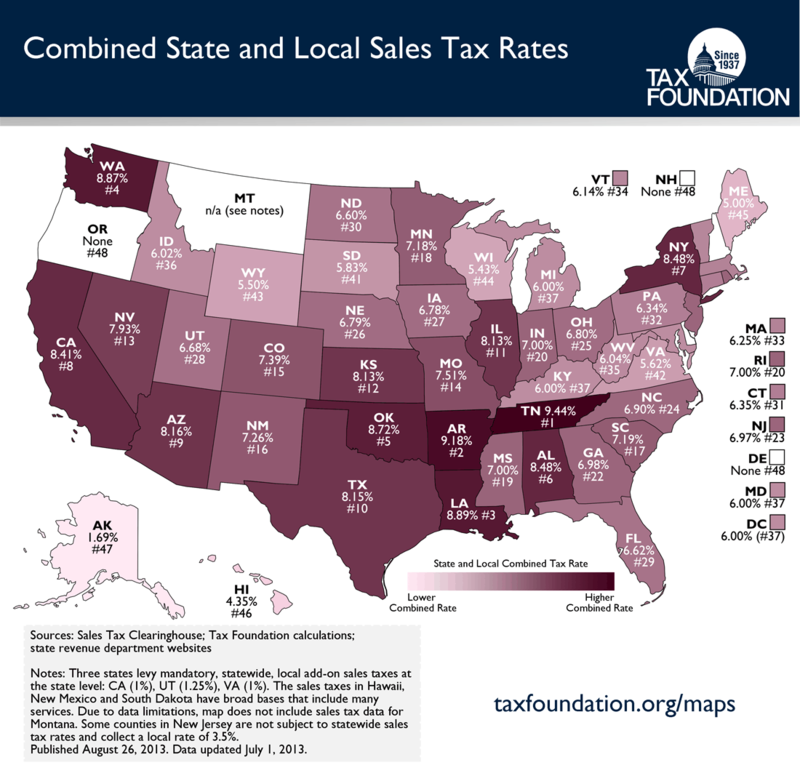 This week's Monday Map shows the state sales tax rate, plus the average local rate, for each state as of July 1, 2013. This data comes from a new sales tax report coming out this Wednesday which will include each state’s minimum, maximum, and average local sales tax rates, as well as each state sales tax rate. Click here for the study (link will go live on the morning of August 28). Tennessee has the highest average combined rate at 9.44%, and is followed closely by Arkansas (9.18%) and Louisiana (8.89%). On the other end of the spectrum are states with no sales taxes: Oregon, Delaware, and New Hampshire. Click on map to enlarge it. Click here for previous maps. One thing that is important to remember here is that state and local tax rates are only part of the total sales tax story. 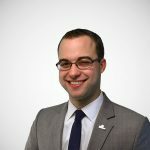 Equally important are sales tax bases—what the tax applies to—which can have a palpable impact on how much the tax collects in revenue and how the tax effects the economy. In this regard, Hawaii is generally considered to have the broadest sales tax rate, as their “General Excise Tax” taxes many products multiple times in the production chain as opposed to just one time at the point of final consumption.